Hobart is a city rich in culture and heritage. 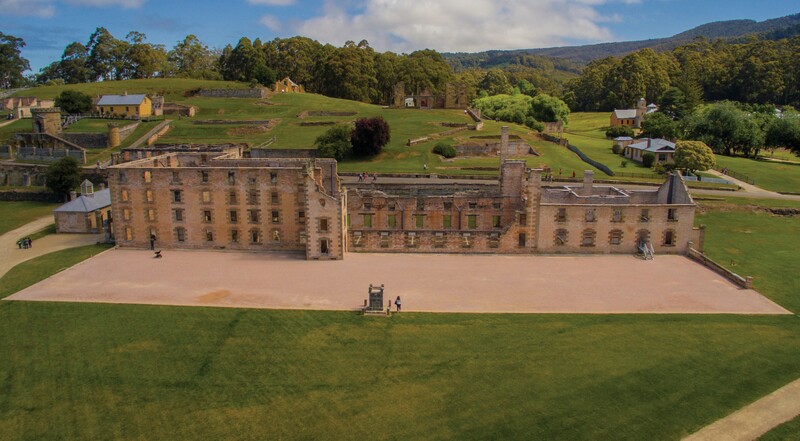 During your stay at Lenna of Hobart, make sure you tear yourself away from the comfort of your hotel room to visit Port Arthur Convict Site. An easy, scenic drive from your Hobart accommodation, Port Arthur is one of Tasmania’s most popular tourist attractions. Port Arthur is more than just the ruins of a jail, it was an industrial village, home to more than 12,500 convicts. It is like an open air museum where visitors can explore 40 hectares of convict history including a number of ruins. Allow yourself a full day to truly explore this historical village with over thirty buildings, homes and ruins to explore! There will be plenty of walking involved during the day so wear comfortable shoes, bring a hart and drink bottle. We recommend that you start your day at the large visitors centre that includes a cafe and an interactive display that visitors can wonder through. You will notice that the further you move away from the visitor centre, the village becomes less crowded and quieter! Your entry ticket to Port Arthur includes a free guided tour, entry to the Lottery of Life gallery and a harbour cruise. The penitentiary: Constructed in 1843 to be a flour mill, the building was converted to a prison in 1857. The prison housed over 480 convicts until it was damaged by a fire in 1897. The hospital: The hospital was built in 1841 above the prisoners barracks but was damaged by bushfires in 1895 and 1897. Separate prison: This prison was built in 1850 in the shape of a cruciform. The building had four wings which contained solitary cells that were considered a more ‘civilised’ punishment than floggings. The convict church: This huge church was built by convicts between the years 1836 and 1837. Museum houses: Port Arthur has a number of historical houses that are amazing to see. The houses have been resorted to provide visitors with an idea of what life was like for those living in the settlement. A further half hour drive away is another World Heritage convict site on the shores of Norfolk Bay. Convicts were sent to the coal mines as punishment, where they were forced to work, and live, underground. You can no longer see the underground workings of the mines, but the houses, barracks, offices and punishment cells are still there to explore.